The gergeranian pear (Pyrus gergerana) is a Critically Endangered species of pear found in the Caucasus mountains. The species is found in just a few locations in Armenia but it’s actual distribution and ecology is largely unknown. What we do know is that Pyrus gergerana blooms from April until June in the Armenian springtime, and produces fruits around September. 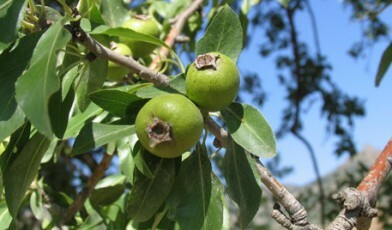 The species bears large fruits that are up to 3.5 cm in diameter which distinguishes it from other wild pear species in the region. The habitat of the gergeranian pear. Credit; Anna Asatryan/Nature Rights Protection. One of key issues for the species is its very limited distribution. According to the Red Data Book of Armenia it grows in four ‘floristic regions’ (areas defined by their plant communities) but it is only known to grow in three specific places within these regions. Therefore the species total global distribution is believed to cover just 20 km2. As well as it’s small population size, the species is also at risk from habitat degradation. The forest is used as pasture for communal livestock grazing, haymaking and wild plant harvesting in the area is also common. During a recent visit to a core site, GTC partners also noted that some pear trees had suffered fire damage, possibly a precursor for clearing for agriculture, whilst other areas had been actively ploughed, ready for the spring planting. 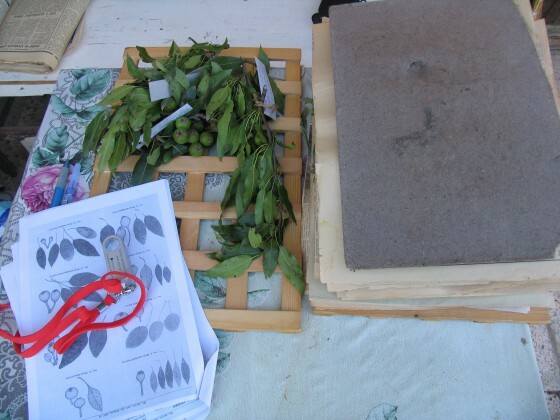 All these issues may make it very difficult for young seedlings to survive. elusive gergeranian pear. Credit; Anna Asatryan/Nature Rights Protection. 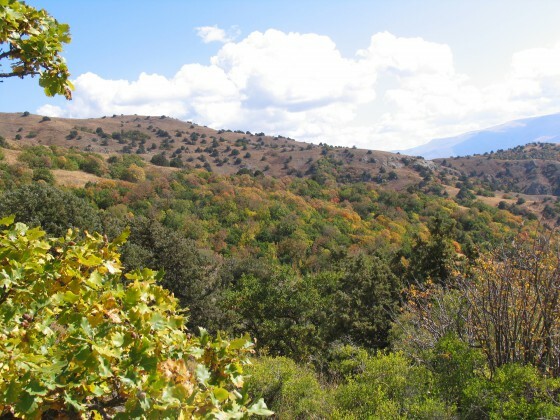 GTC has supported survey work to understand more about the species distribution in southern Armenia and discovered the species in new locations, all close to, or within villages, but only in very small numbers. We have also supported field surveys in the protected area believed to contain the most viable populations of the species in the hope we would find stronger populations there, but numbers were likewise very small and the species presently remains an enigma to conservationists.